Sorry, we are currently sold out of 'Large Gleaming Turquoise Disc Beads'. Please check back later. 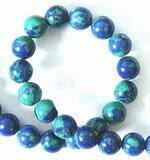 Sorry, we are currently sold out of 'Beautiful Blue Turquoise Barrel Beads'. Please check back later. Sorry, we are currently sold out of '32 inch Chinese Turquoise Chunk Bead String'. Please check back later. Natural Chinese Turquoise Nugget Beads -3pcs. Sorry, we are currently sold out of 'Chinese Turquoise Cube Beads - Long 32-inch String'. Please check back later. Sorry, we are currently sold out of '4mm Vivid Blue Turquoise Cube Bead Strand'. Please check back later. Sorry, we are currently sold out of '55 Colourful Rainbow Turquoise Disc Beads'. Please check back later. Goldenrod Yellow Turquoise Nugget Beads - Heavy! 8 Apple Green Spider Vein Cube Beads - Unusual! 6 Huge Pink Turquoise Nugget Beads - Unusual! 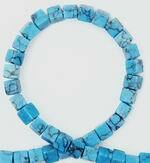 Sorry, we are currently sold out of 'Unusual Turquoise Rhombus Beads'. Please check back later. Gorgeous Turquoise Oval Chunk Beads - Hefty! Sorry, we are currently sold out of '150 Dark-Orchid Turquoise Rondelle Beads'. Please check back later. 30 Unusual Summer Colour Carved Skull Turquoise Beads - very popular! 11 Large Rainbow Turquoise Summer Butterfly Beads - Unusual! 20 Unusual Rainbow Turquoise Buddha Beads - Heavy! 66 Unusual Heavy Red Turquoise Icicle Beads - each 45mm Long! Sorry, we are currently sold out of 'Chunky Blue Turquoise Pomelo-Shapes Bracelet - Heavy!'. Please check back later. 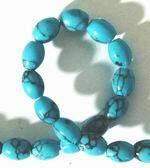 Sorry, we are currently sold out of '128 Gorgeous Turquoise Heishi Beads'. Please check back later. 38 Rainbow Turquoise Butterfly Beads - Unusual!